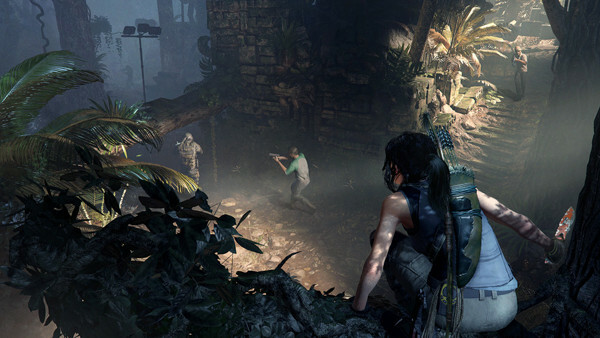 The most obvious criticism of the new Tomb Raider is that it just doesn't do enough to reinvent what's a pretty rigid, Uncharted-esque action-adventure formula. If you've played the two previous games, especially Rise, you've more-or-less played this one, and little effort has been made to bring much new to fans or overhaul the series' fairly standard systems. The puzzles, combat, stealth, exploration and so on don't stray far from what we've seen before - with some set-pieces seeming suspiciously familiar, to be honest - and as such the game isn't likely to be one you'll remember too much of a year from now. Basically, if more Tomb Raider games within this universe are to follow, Square Enix needs to have a re-think and consider how they can compellingly switch things up rather than just dine out on the series' well-worn template.